Traditionally worldwide yogi’s gather upon the change of the seasons to perform 108 Sun Salutations (54 rounds), quite often as a offering for a social purpose. On the 20th of June* we do this also together with a group of yogi’s in Stavanger and all the donations of the event will go to Kafé og Byttebu a local social initiative. 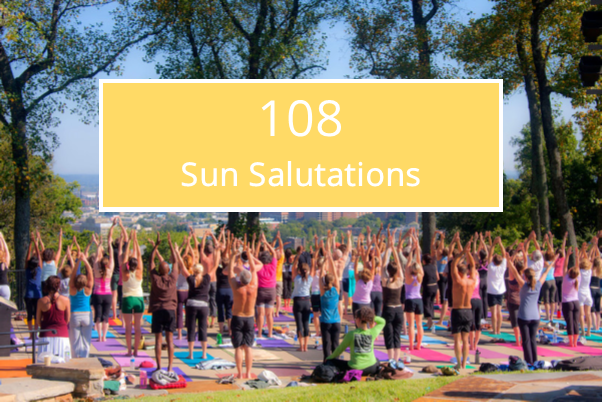 108 Sun Salutations is quite a workout, it will take you about 75 minutes to complete it. Together with a warm-up at the beginning and stretching & relaxation at the end the whole practice will take about 2 hours. In preparation of the event in Stavanger a lot of people asked me, why 108? There are several reasons for this and I will elaborate on that in this blog. Within a lot of yoga practices the Sun Salutations are used as a warm-up at the beginning of the class, performing mostly between 2 and 8 rounds. I can assure you, you will generate heat inside and your body will start sweating after just a few rounds. For everyone that has done the Sun Salutations before I don’t have to explain that 108 will be a challenge, IF you approach it pure physically. The purpose of it is that you will come into a flow, generate a collective energy and make it a meditative practice. Explore your borders and breathing through mental limitations. It will bring your practice to another level, you might even notice this already in the Shavasana (final relaxation) at the end. But that didn’t asnwer the question why 108 and not 103 or 115? Well that is because 108 is a sacred number. The ancient yogi’s has been thaught to practice 108 Sun Salutations every morning to honour the Sun and the Universe. 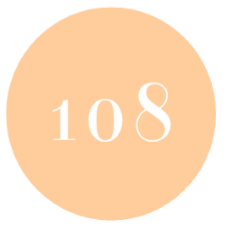 108 is a Sacred number within the yogi tradition and it pops-up in scriptures and traditions. 108 = 2x the 54 letters in the Sanskrit Alphabet. 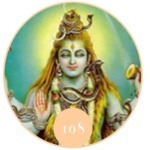 Each letter has a masculine (Shiva) and femine (Shakti) side. So that is why 108!! Have you ever done 108 Sun Salutations? Please share your experience with me in the comment box. 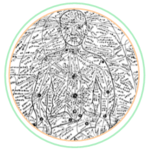 If you liked this blog and the information please share it with your friends and family.